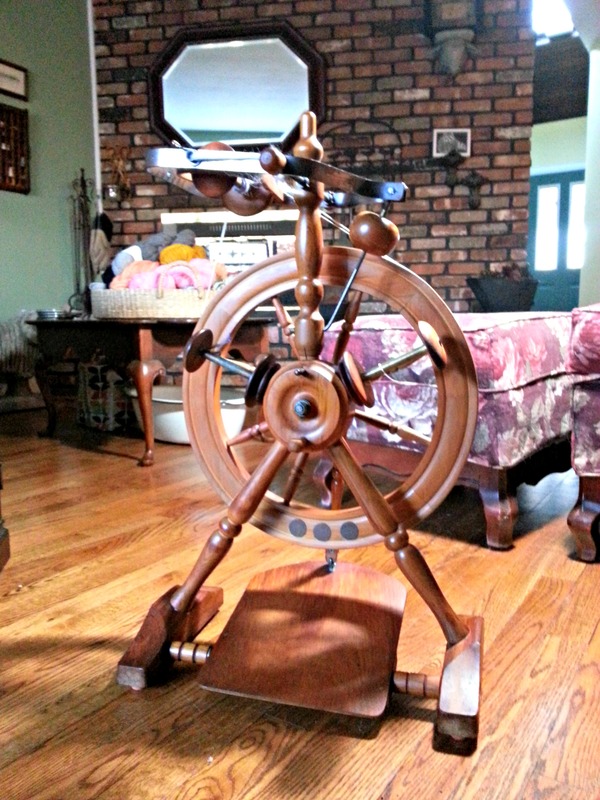 I may have failed to mention that I got a(nother) spinning wheel! This is a Wendy Wheel by Pipy and I love it! Somehow this little wheel reminds me of The Brave Little Toaster. So sturdy and bold! A friend of my is a vigilant watcher of the Ravelry boards, back in January she saw that this was for sale and in Manhattan – perfect and no shipping. At the moment I am spinning some icelandic fleece as a part of the Explorers group of my spinning guild. Truly these Pipy wheels spin beautifully – if you are a wheel lover and have a chance to buy one, may I suggest that you not pass it up! I also have an original Pipy – courtesy of that same ever vigilant friend who now that I am writing this out is appearing to be more and more of an enabler! I would also suggest that you get one of those friends – ever vigilant and on the lookout for things you love! I already had an embarrassment of riches where spinning wheels are concerned and this one puts me even more firmly in that category — and I don’t care! did you check out those quit smoking stats? I haven’t come close to spending all that $$ I’ve saved! It’s hard to believe it has been eight years – as a matter of fact, I wasn’t entirely sure until I checked with QuitNet, a site Chelsea had said helped her when she quit. I am so glad I signed up for it – seeing those numbers was and is a big motivator. Which by the way – that $$ part? It does not adjust for the rising cost of smokes, so it is based on $4.60 per pack from days of yore and at the moment, cigs are somewhere around the $10 mark here in NY. So there is a LOT more money in that particular banana stand! Anyway yay me, yay Vicki and yay Flair! I have jumped back into work on my Rams & Yowes blanket. Yesterday I got past the 1/2 point in the center panel! 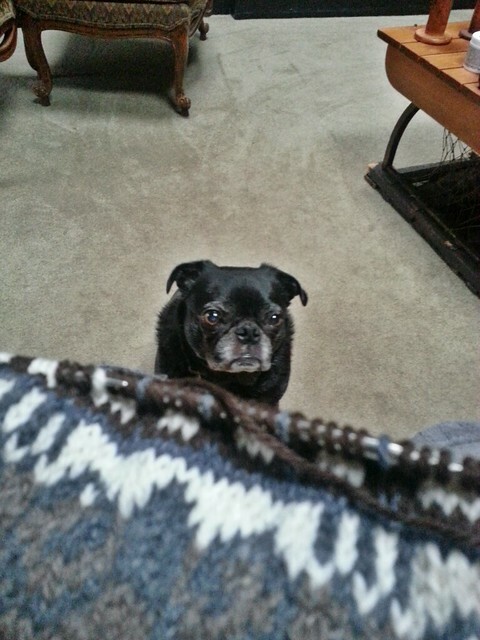 The bad news is this project has gotten large enough to take up all of my available lap space.